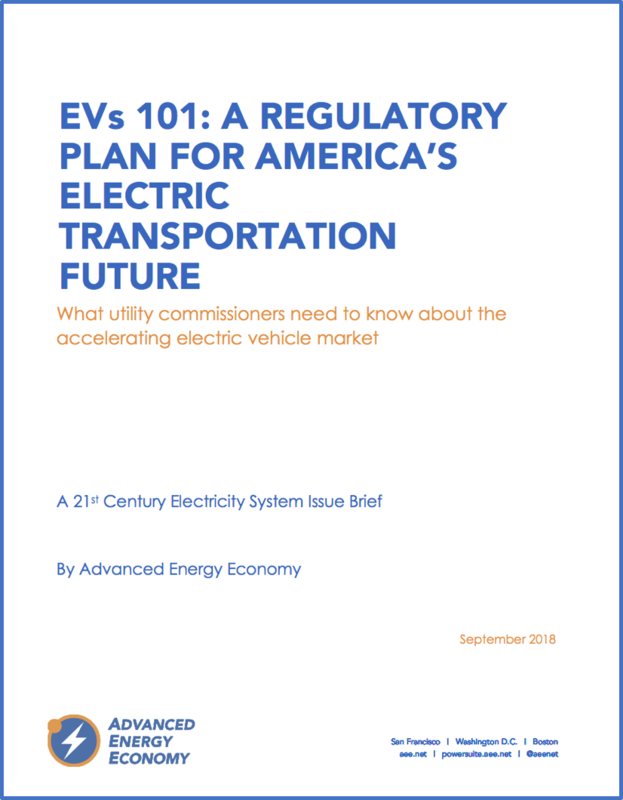 In EVs 101: A Regulatory Plan for America’s Electric Transportation Future, seven steps state regulators should take to prepare for a surge in electric vehicles are outlined. AEE notes that plug-in electric vehicles (EVs) currently account for a small share of vehicle sales, but a high – and accelerating – growth rate is putting EVs on the agendas of public utility commissions around the country. To address the potentially rapid electrification of the vehicle fleet – from passenger cars to delivery vehicles, buses, and trucks – state regulators should take measures to maximize the benefits and minimize the challenges associated with this transportation transformation. Please fill out the form to download the Issue Brief.